3 Steps to Expedite Courier Performance | Taylor Data Systems, Inc.
From confidential documents to patient specimens, a courier’s job is a critical part of the success of an organization. The ability to get the right package to the right customer at the right time in the most efficient way is rarely managed successfully over the long haul if operations consist of paper-based, manual processes. The role of IoT The Internet of Things (IoT) has opened a world of new opportunities for companies to advance their level of service and bring greater operating efficiencies into the workflow process. 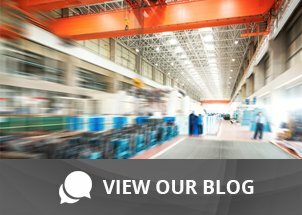 Smartphones, mobile computers, tablets and wearable devices are increasingly bringing co-workers closer together and providing a convenience that boosts worker productivity and controls costs. For couriers in particular, mobility expands their capabilities tremendously. With GPS tracking, access to real-time information and simplified communications between the courier and the corporate office, companies are moving faster, smarter and providing even better service to their customers. Simplified communication on the road; accommodates drop-in deliveries, order changes, route changes, need to move shipments to another vehicle, etc. Utilizing the right tools, and implementing a mobile computing device with the ability to scan barcodes, means a lab can see what a courier has in their bag even when they’re out making deliveries. The courier scans the barcode on the orders/specimens each step of the way, the application communicates the information over cellular network, and management can view the information in real-time. Honeywell CN51 Mobile Computer The CN51 is a versatile device, great for an application like package or specimen delivery. Using either Android or Windows, the CN51 has a large, resistive, multi-touch display, Flexible Network™ Radio, superior barcode scanning and battery power lasting a full shift (and then some). 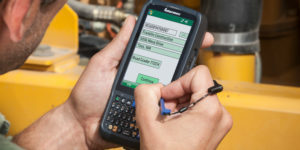 Unlike Smartphones and competing mobile computers, the CN51 is a rugged device designed for the rigors of a field application. At the same time, it’s ergonomic so it fits a variety of hands along with providing outstanding performance and reliability for couriers on the go. For more information on ways you can optimize your courier routes and improve accuracy of workflow processes to increase customer satisfaction, contact us at 877-331-7427 to learn more.